Some of the things written make me think that the writers have spent some time over at the Rebel Legion forums, considering all the discussions about the differences in helmets and flightsuits for the pilots, and not least the fact that there is a 50 page discussion just dedicated to the Hoth troopers. 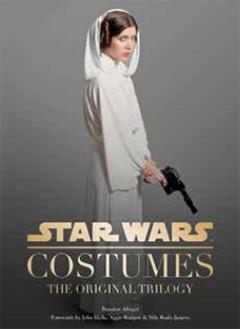 I'm a bit worried that there will not be enough focus on Leia's costumes, but I really hope that it will contain some new and detailed pics of the Bespin gown, since that is a future dream project. And I need a companion to Dressing a Galaxy in my costume book shelf.